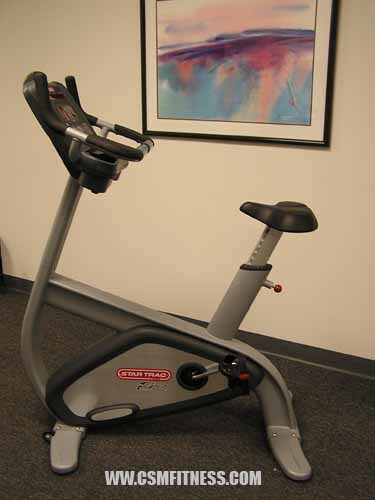 The Star Trac Pro Upright bike is a user-focused exercise bike. The personal fan is located above the display and creates a more rewarding workout. It has Polar Telemetry and Contact Heart Rate System with Dynamic Heart Rate Control. Dynamic Heart Rate Control adjusts intensity level based on the user’s heart rate for interval training. The Pro upright has 11 programs including two heart rate control programs, two watts control programs and fitness test. All aluminum frame design offers lightweight and corrosion resistance.